Amazon has declared March Is Metal and is offering hundreds of metal albums at low prices. 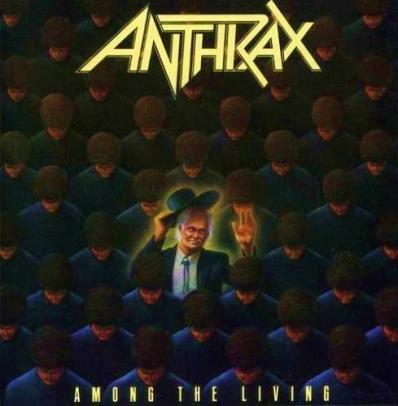 It doesn’t come much more metal than Anthrax and their third album, Among The Living. The CD is available right now for only $5.99. It’s impossible to keep still to this album; it makes you want to jump around and bang your head. Recorded by what many consider to be the ‘classic’ Anthrax line-up of Scott Ian, Joey Belladonna, Frank Bello, Charlie Benante, and Dan Spitz, tracks like “Indians,” “Caught In A Mosh,” “Efilnikufesin (N.F.L. ),” and not forgetting “I Am The Law” have become live staples in the 25 years since it was first released. If you would like a digital copy of Among The Living, the MP3 download is available at $8.91. Remember, the March Is Metal deals run out at the end of this month, so you only have a few more days to snap them up.